Toyota Astra Motor (TAM) implicitly admitted, photo Toyota All-New Avanza (as well as Daihatsu All-New Xenia), published on the internet when assembled at PT Astra Daihatsu Motor (ADM) is the latest model or Avanza 2012 that will soon be gliding. TAM said the leak occurred because the party that assembles Daihatsu car. Meanwhile, President Director of TAM, Johnny Darmawan, when "mugged" reporters yesterday about the launch and the figure of the All-New Avanza, not much comment. Just mention, "Kijang is an Indonesian legend, Avanza is a million people car." Nevertheless, also disclosed, Avanza second generation experienced a total change in exterior and interior models so the price is likely to rise or more expensive than it is today. "At least the increase is IDR 5 million," he said. But there is a chance of about IDR 10 million. The TAM did not want to announce the figure of the All-New Avanza officially for fear of consumers planning to buy Avanza today could have been switched to a new model. For motion transfer system, based on internal information from the TAM said the All-New Avanza retain rear-wheel drive as they are now. "It is not using the front wheels. If the driving wheels replaced the front wheels, it needs major changes. Remain as now, only the exterior and the interior has changed totally, "said the source. 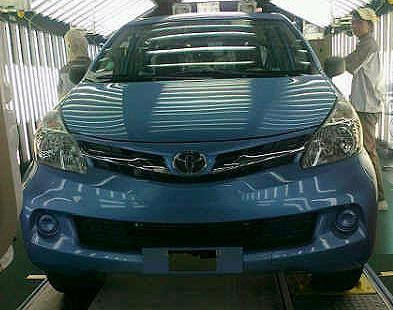 It is estimated that well, to pivot the All-New Avanza, the time is no longer too long. According to Jody Jodjana, CEO of Auto2000, some time ago, an estimated maximum of 3 months. In fact, Johnny Darmawan, yesterday estimated that about 2 months.